For the sake of writing about it, I’m going to call my tester this week a full-size sedan even though it defies many of the qualifications and certainly is incomparable to others in this decreasing segment. In fact, my tester this week left the segment, and the auto industry altogether for a year. 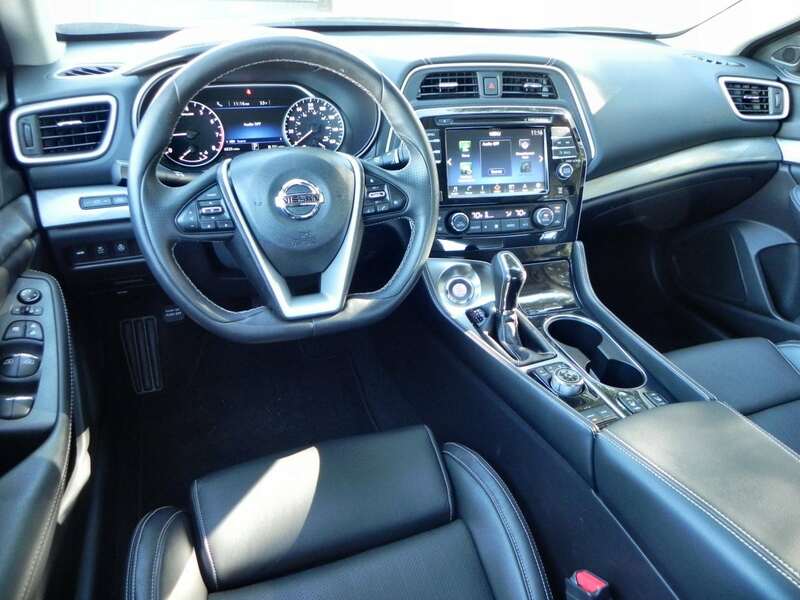 But after a year hiatus, the 2016 Nissan Maxima is back, and certainly better than ever. This full-size sedan re-enters the market longer, lighter and faster than it was before. With a complete overhaul, the Maxima now has more modern looks to help differentiate itself from the slightly smaller Altima. The Maxima is Nissan’s flagship car and it was important to them to make the necessary improvements to it. And the improvements are drastic. 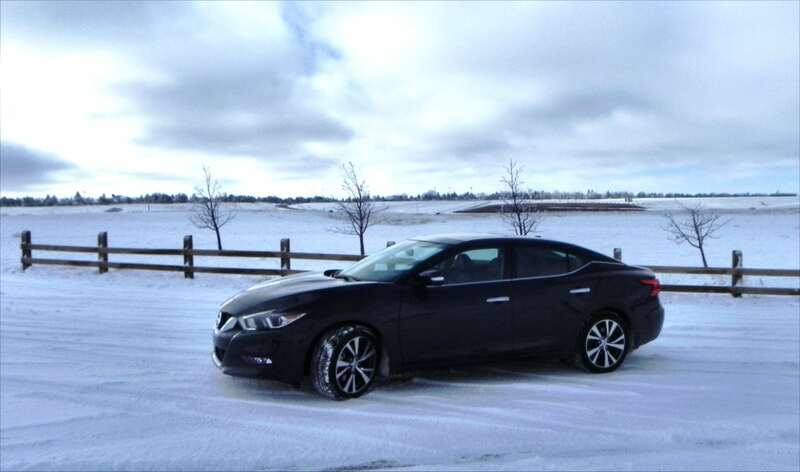 The 2016 Maxima is now more than two inches longer, with a lower profile while also reducing the curb weight. 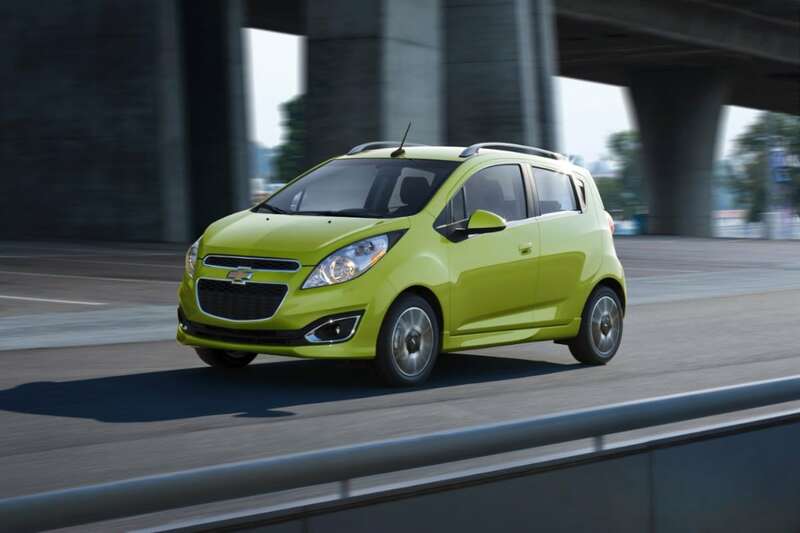 The reduction in weight helps improve fuel economy, yet the new engine has more horsepower than it previously had. Every improvement Nissan made worked beautifully. 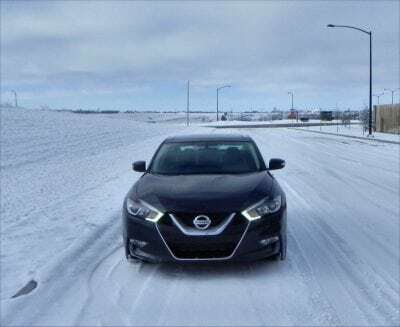 On looks, the Maxima is much improved. It has a timeless design that will hold up over several model years, rather than being gimmicky. 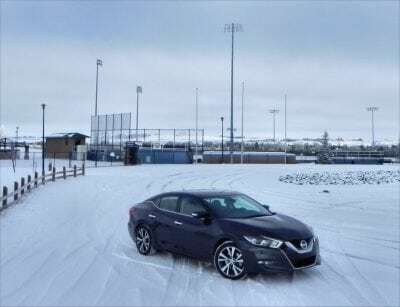 Each of Nissan’s vehicle updates have been on point over the last several years, and the Maxima is no exception. 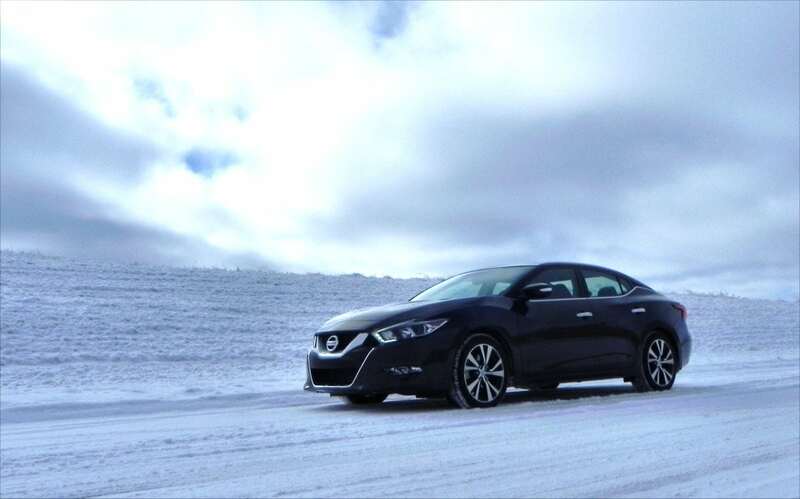 The side profile is quite attractive, and the sloping C-pillar gives the Maxima a sporty look. The notched out glass on the side rear window that tails off toward the back end is quite distinctive. The LED daytime running lights also add to the distinctive appearance. 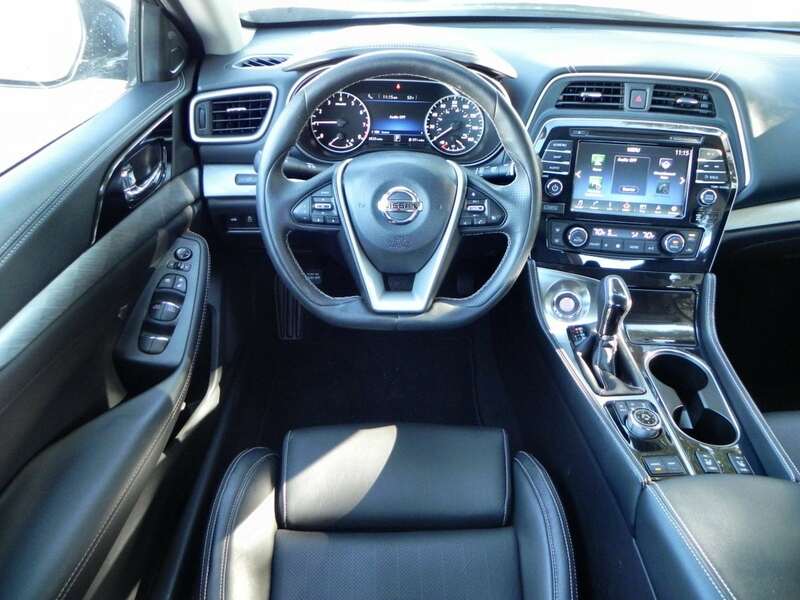 Inside, the Maxima greatly separates itself from the Altima with an interior that teeters on luxury. 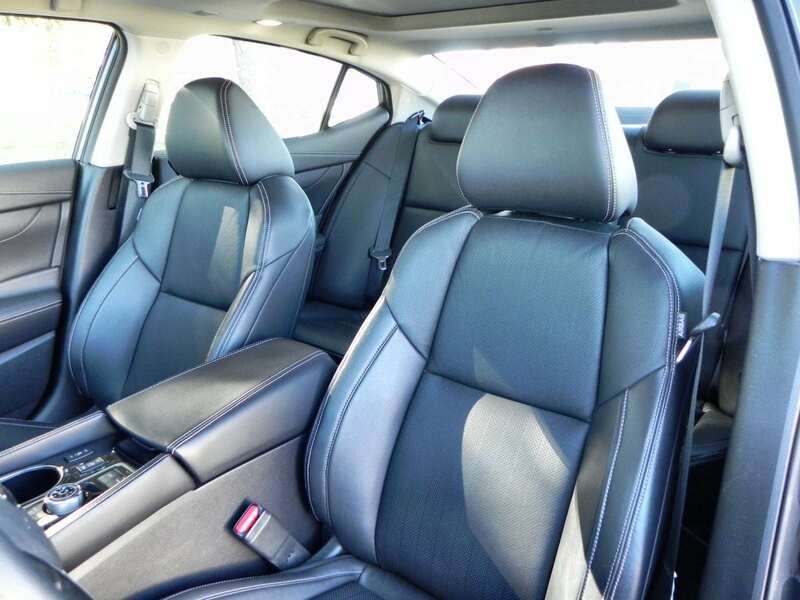 Soft materials, plush leather seats, ambient lighting and a dual panel panoramic sunroof bring a lot of value to the Maxima. Nissan uses their “zero-gravity” seats in the Maxima, and while comfortable, they’re not anything special. Backseat space is adequate, but when compared to true full-size sedans like the Toyota Avalon or Chrysler 300, it’s unimpressive. I was hoping for a much bigger back seat, on account of the length increase. 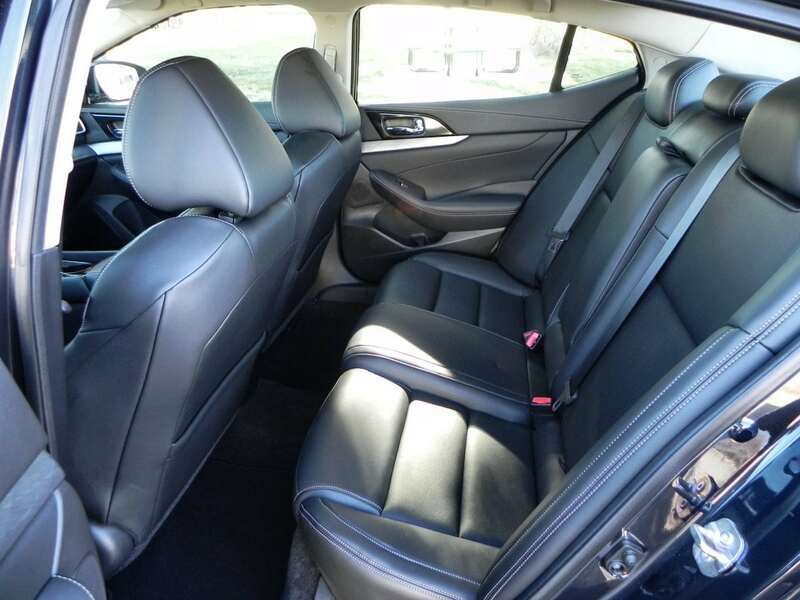 Full-size adults will have enough legroom, but there could be more comfort for rear passengers. Also, the trunk for the Maxima is far below even midsize cars. 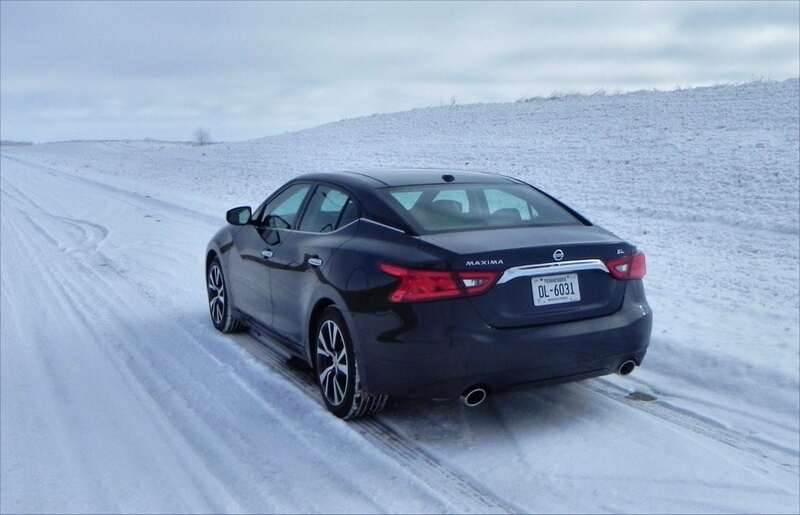 In fact, the Maxima has a smaller trunk than even the Altima. There’s only 14.3 cubic feet of space in the Maxima’s trunk. The technology and organization of the center stack is outstanding. 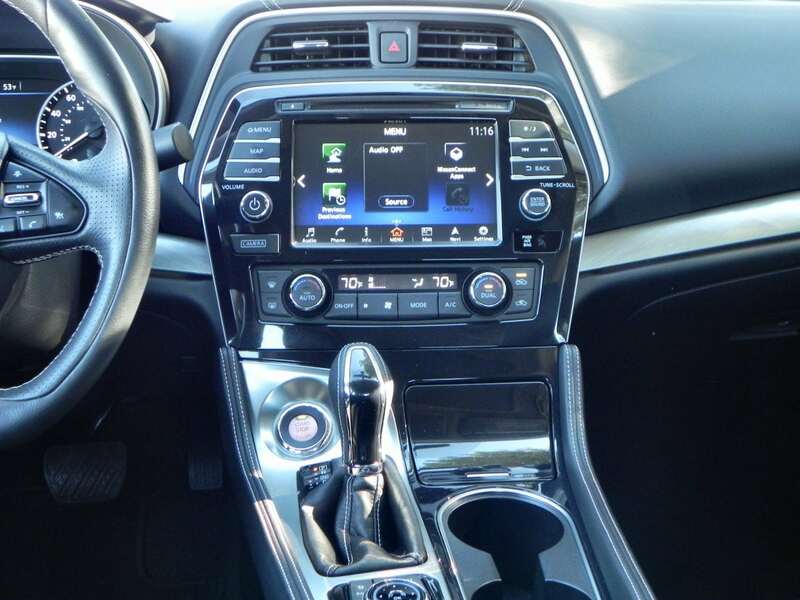 Clean, conservative and intuitive are the best ways to describe the center stack and infotainment system. The eight-inch color touchscreen is responsive and easy to use. There are two USB ports located conveniently to the infotainment system’s control dial which is another convenient way of operating the infotainment system. Integrating with smart phones and devices is a piece of cake and keeps everything close at hand with the way it’s all organized. 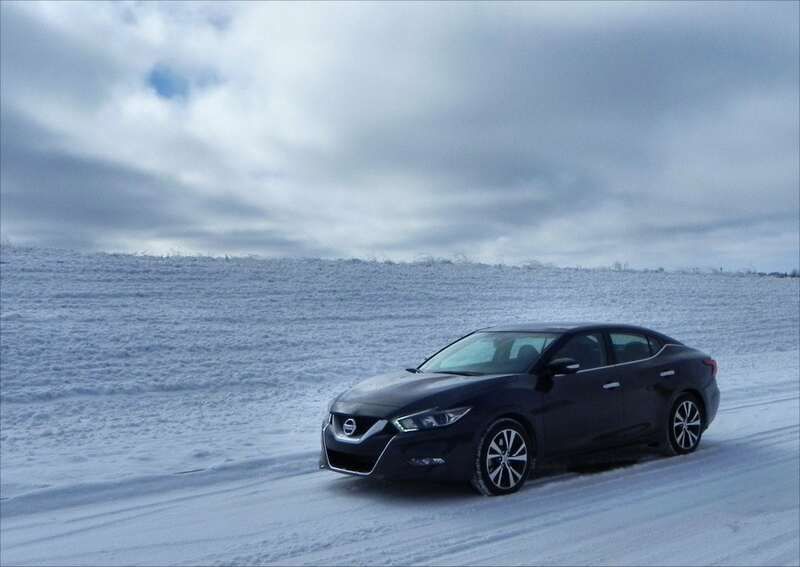 The Maxima receives more power this year than it previously had. There’s a 3.5-liter V6 engine that now makes 300 horsepower (up 10 hp from the 2014 version). This is just the right amount of power to keep it spry, agile but also quiet and comfortable. It drives like a luxury executive car. The continuously variable transmission is not as odious as other CVTs, but does seem to hold the shifting back at times. However, considering the fuel economy, I can forgive the flaws of the transmission. 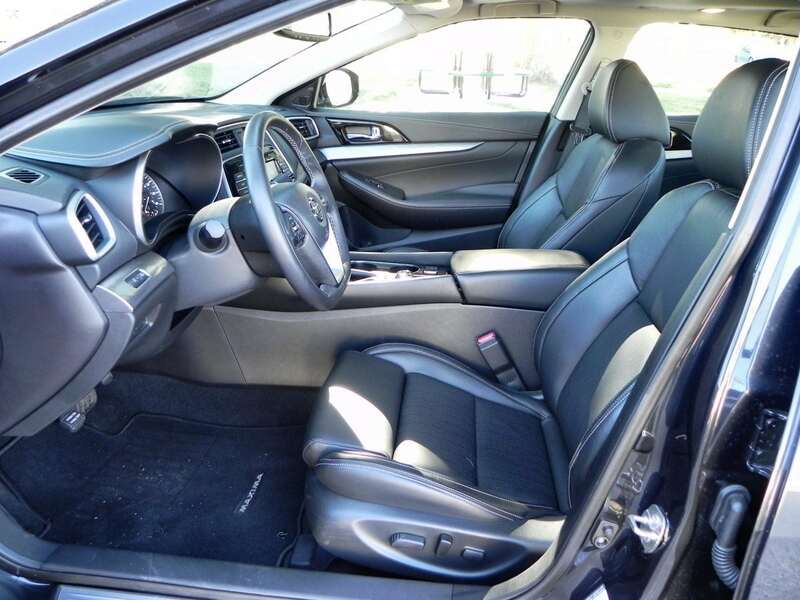 The Maxima has an EPA rating of 22 mpg/city and 30 mpg/highway. In a week’s worth of driving, I averaged 25 mpg, which is outstanding for a larger sedan. The refined performance is exactly what you want from this type of car. It doesn’t have to be a powerful beast, but it can’t be pokey either. 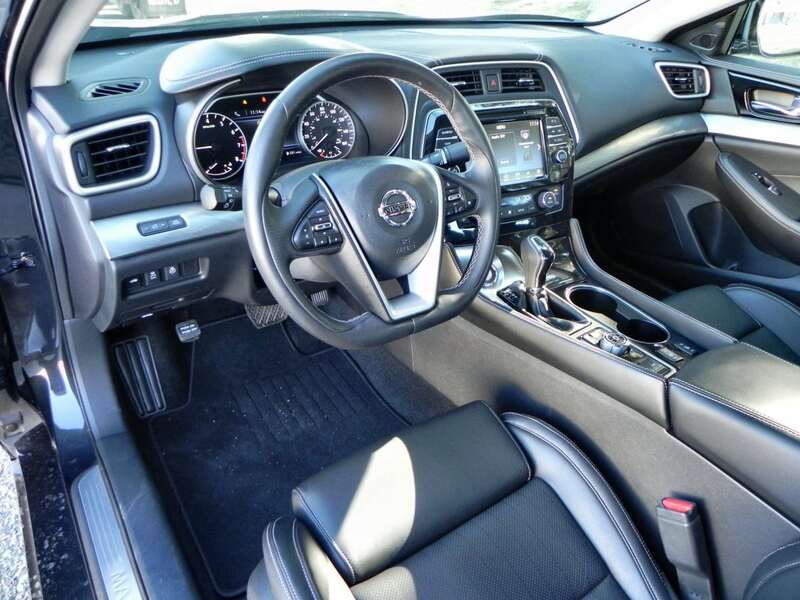 The Maxima is refined and handles well with responsive, firm steering. It’s more enjoyable to drive than the Altima, and certainly more exciting than some of the ho-hum cars in this segment. There are five trims offered S, SV, SL, SR and Platinum. My tester was the SL trim which comes with active noise cancellation, adaptive cruise control, panoramic sunroof and heated steering wheel. Each of these features bring a lot of merit to this car. My tester had an MSRP of $37,935. While the base trim starts about $4-$5000 less, the price of the Maxima is justified with the significantly better interior and near-luxury offering.